Standard EQuIS forms may be opened in SPM. 2.Copy the DLL from the EQuIS folder to SPM\Plugins\Forms. 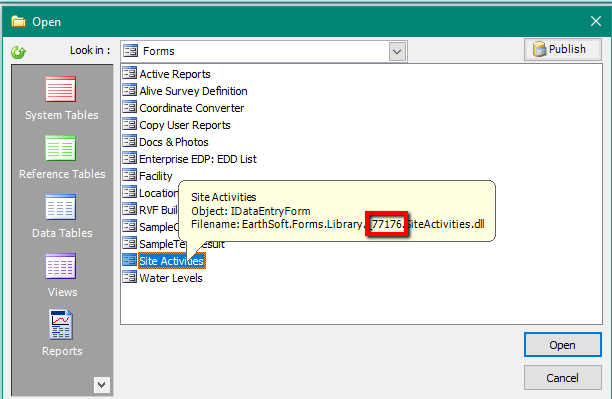 Note: SPM will examine the DLL files located in the Plugins\Forms folder and create an item for each class implementing Earthsoft.Common.Forms.IDataEntryForm interface.